Valentine’s Day is quickly approaching. We thought we would make it easy for our blog readers by showing you how you can set up your Valentine’s Day checklist so you’re not scrambling on the morning of February 14. And if your Valentine’s date is a procrastinator, feel free to share this blog to give him or her a little hint. 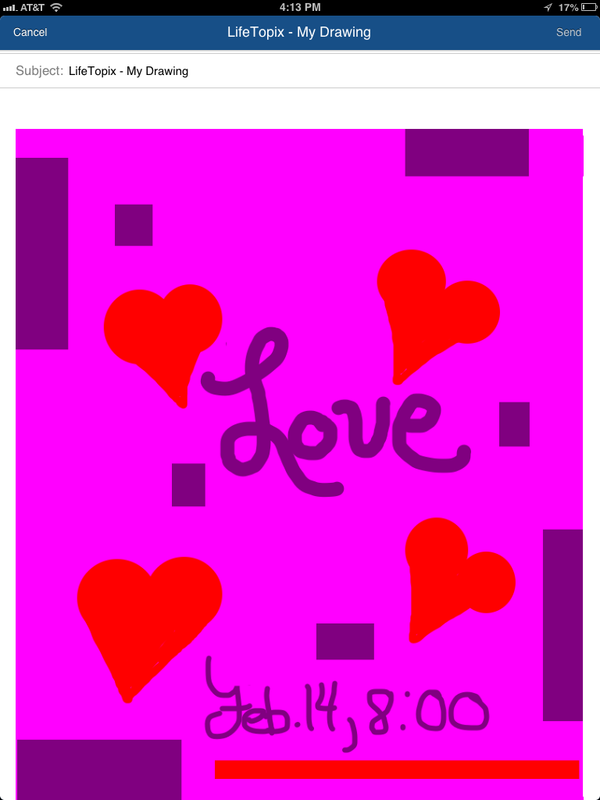 If you’re feeling creative, you can “go green” and hand draw a note in lieu of a card for your date and email it directly from LifeTopix (note: this was created with our newest version with enhanced drawing features, which is not yet released). You could even send a new drawing every day, dropping hints, leading up to the Valentine’s Day event. 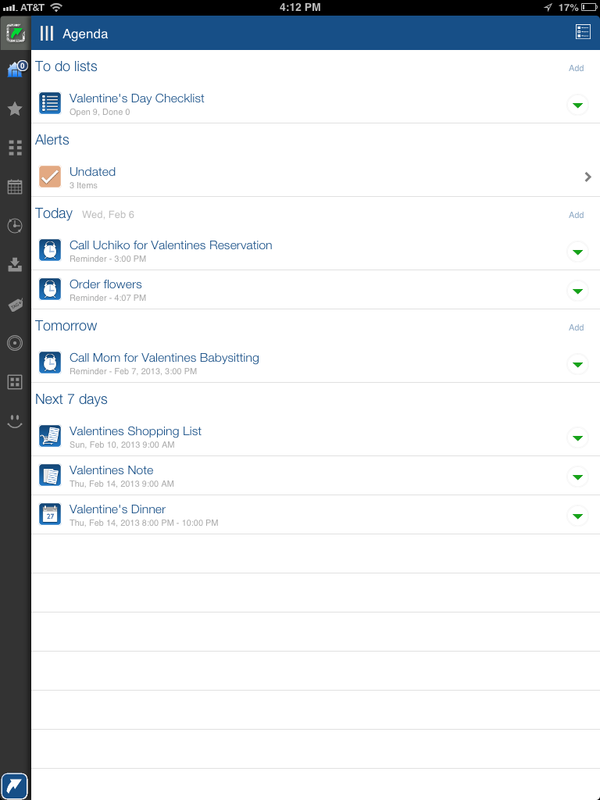 Start by going to your Agenda view and tap Add to create your Valentine’s Day checklist. It’s important to schedule babysitters, order flowers, and make reservations early so make sure you’ve prioritized these items at the top of your list. Here’s an example of some of the items that you might schedule. Some items on your checklist may require more thought (and some nudging). You might consider setting up reminders. If you haven’t already set up Service Providers for your babysitter, your date’s favorite dinner restaurant, and your flower vendor, you might do so now. Go to that Service Provider, and then add a Reminder. 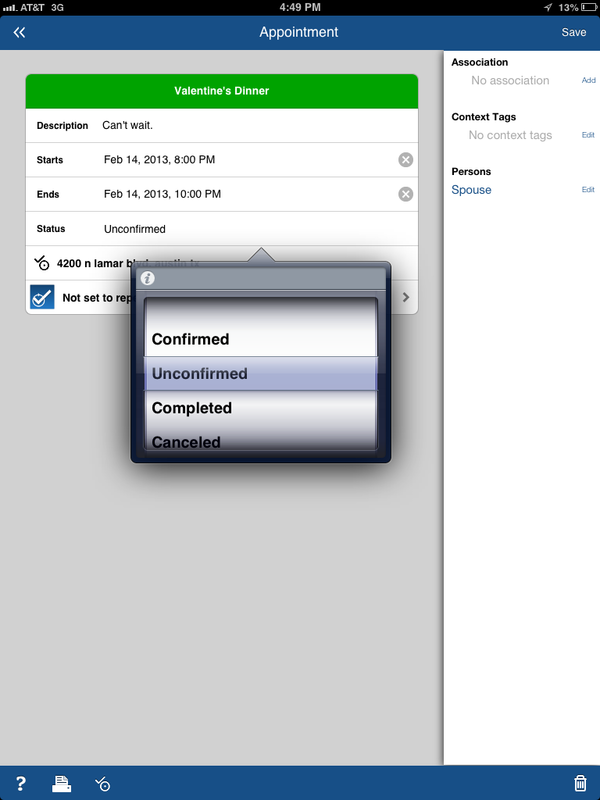 This way, you’ll have all the contact information readily available from the reminder in your Agenda view. 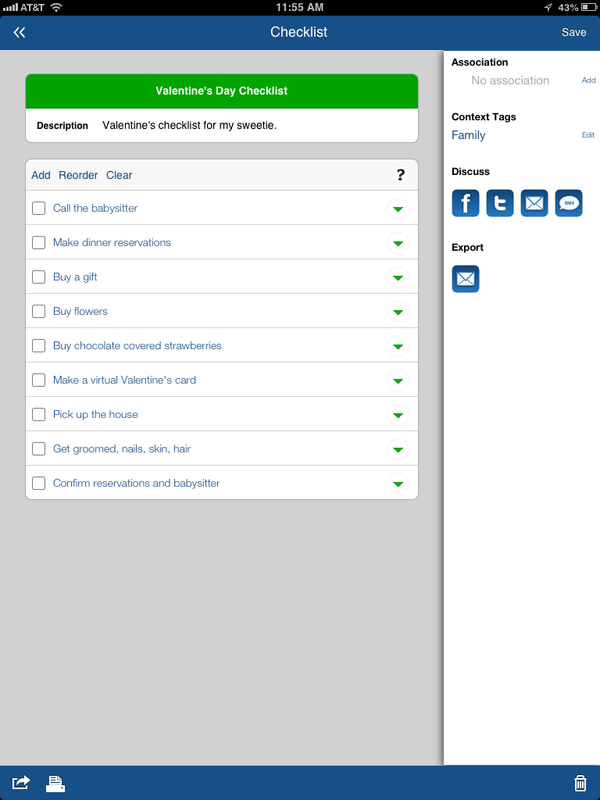 Also, create a shopping list and schedule it in time to complete the shopping before Valentine’s Day. Below, you can see a sample Valentine’s Day Agenda. Last, but not least, make sure you confirm your Valentine’s dinner reservation. You definitely don’t want to ruin a perfect night by losing your reservation. Please share with us your special ideas or blog posts for your upcoming Valentine’s Day. We’d love to hear your creative ideas.